Once we begin to work with a holistic approach to the ADD/ADHD issue, we can envision many more possibilities for strategies to help kids who have attention and behavior difficulties. As it is, most ADD/ADHD advocates tend to have a conservative attitude toward the range of strategies that might help an individual child. Recent books on the subject for teachers and parents have stressed the necessity of being on guard against “unproven treatments for ADD/ADHD” (e.g., Ingersoll & Goldstein, 1993). Some of this advice is well founded, because there are commercial companies out there claiming that their products (e.g., an herb, a potion, a set of lights and sounds, a kit, or some other merchandise designed to make the manufacturer rich) will “cure” or dramatically improve the behavior of people with ADD/ADHD. The problem is, however, that most books on ADD/ADHD tend to approve only a very few “treatments” (usually, medication, cognitive-behavioral therapy, parent training, and a few educational accommodations), while regarding anything else as “unscientific.” Ingersoll and Goldstein (1993), for example, insist that new techniques or substances pass through the most rigorous of experimental designs, the double-blind placebo controlled study, to qualify as a valid treatment (the sort of study that is used to validate the effectiveness of Ritalin, for example, or other psychoactive medications). This criterion works very well for medications, but not necessarily for other kinds of interventions. Many important advances in the fields of medicine, psychology, psychiatry, and education have evolved through alternative research methodologies. Examples include psychoanalysis (individual case studies), the hazards of smoking (longitudinal studies), and cooperative learning (use of comparison groups). Because the ADD/ADHD paradigm relies so heavily on biological principles, this demand for rigid criteria that are appropriate to the medical field is perfectly understandable, but unfortunately misapplied. Once we break out of the biological paradigm and adopt a more holistic approach to the ADD/ADHD issue, we can entertain a far wider range of techniques, methods, tools, and research methodologies. In this chapter, I present a sampling of such practical ideas for consideration in helping kids with attention and behavior difficulties. These ideas include educational, cognitive, physical, affective, biological, ecological, and behavioral strategies. Please note that I am not touting these strategies as “treatments for ADD/ADHD.” In moving toward a holistic approach to the issue, I am concerned not with treating a disorder, but rather with helping a child. In the previous chapter, I suggested that each child who displays behavior and attention difficulties possesses a unique constellation of factors that defines his individual world. Thus, we as educators must offer techniques, strategies, and tools that are diverse enough to meet the needs of many different kinds of children, and not just treat a hypothetical “ADHD” child. The ADD/ADHD field has shown a particular lack of imagination in terms of providing educational strategies to help kids with attention and behavior difficulties. This is curious, inasmuch as so-called “ADD/ADHD children” often receive their labels through behavior that originates in school settings. One would think that researchers would have developed a wide range of creative techniques to help these students learn, attend, and behave more effectively in the classroom. 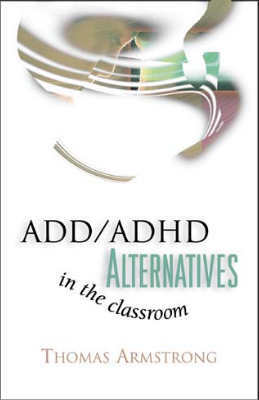 Many other books and guides for teachers in the field tend to focus a great deal of their attention on making the “ADD/ADHD child” adjust to a traditional classroom setting (e.g., organizing paperwork, remembering workbook assignments, listening to the teacher's lectures). Tips include using smiley stickers as rewards, giving praise, breaking up tasks into smaller bits, seating the child near the teacher's desk, and using organizational tools like dividers for notebooks and Post-Its® for reminders (Braswell, Bloomquist, & Pederson, 1991; Parker, 1992). One wonderful exception to this trend is the work of Sydney Zentall at Purdue University. She and her colleagues have emphasized providing a stimulating learning environment. Her underlying premise is that many children who are identified as ADD or ADHD are understimulated, and require higher doses of stimulation than the “average” person—this being the reason why Ritalin—a stimulant—may be so effective in calming behavior and focusing attention (Zentall, 1975; Zentall & Zentall, 1983). Zentall has engaged in numerous studies involving the use of color, sound, and other stimulus enhancers, which indicate that the selective and appropriate use of certain types of stimulation in the classroom is especially effective in helping kids with this label focus better on their learning (Zentall, 1993a and b; Zentall & Kruczek, 1988; Zentall & Zentall, 1976). Zentall's work is one of the few true beacons of light in an otherwise uninspiring field of ADD/ADHD educational researchers (for another creative approach, see Reif, 1993). What is so dispiriting about the relative lack of development of innovative educational strategies in the ADD/ADHD field is that the wider field of education has been engaged in a veritable Renaissance of new ideas over the past 20 years. Educational innovations, such as learning styles, brain-based learning, cooperative learning, and authentic assessment, have revolutionized the way we view learning and teaching. Why has the ADD/ADHD field lagged so far behind? A holistic approach to ADD/ADHD seeks to incorporate many of these innovations into work with kids identified as ADD/ADHD, including multiple intelligences, incidental learning, and educational technology. Howard Gardner's (1983, 1993) theory of multiple intelligences (MI) provides a rich framework for designing learning experiences that mesh with the special “proclivities” (intelligence areas of greatest interest or competence) of kids labeled ADD/ADHD. The eight intelligences in MI theory—linguistic, logical-mathematical, spatial, bodily-kinesthetic, musical, interpersonal, intrapersonal, and naturalist—provide a pedagogical palette that the teacher can draw from in creating just the right activity or strategy to suit a particular student. The child whose attention flags and behavior flares when learning about the Civil War through books and lectures may become absorbed in the material if it is presented through images, music, or role-play. The student who forgets to do her book report or math problems as homework may get absorbed in a learning project that involves interviewing a grandparent for social studies (interpersonal), taking pictures of animals in the neighborhood for an ecology unit (spatial-naturalist), or writing a song on an electronic keyboard about a character in a short story (musical). Over the past few years, teachers and researchers have developed a wide range of books, manuals, videotapes, and other educational resources that offer a rich collection of ideas, strategies, and activities for virtually every area of the curriculum using multiple intelligences (see, e.g., Armstrong, 1994; Campbell, Campbell, & Dickinson, 1996; Haggerty, 1995; Lazear, 1991). Teachers can adapt many of these materials for one-to-one work with a student. Also, several sources are available for exploring new ways to assess kids using MI principles (Gardner, 1993; Krechevsky, 1991; Lazear, 1994; Scrip, 1990). Thus, for the child who doesn't pay attention during tests, developing authentic assessment instruments based on multiple intelligences can provide a context within which teachers can better engage that student's attention. The child whose mind wanders during a paper-and-pencil item about the traits of a character in a story may come to life when the teacher asks him to pantomime the role as a way of showing his knowledge of character development. MI works quite well as a means to develop specific attention-grabbing techniques. For the student who doesn't line up for lunch after hearing the teacher's linguistic instructions (“O.K. kids, it's time to line up!”), seeing a blown-up photo or slide of the class all lined up for lunch (taken by the teacher on a previous occasion) may trigger the spatial areas of the brain to respond by immediately lining up. Zentall (1993b) reported using music to engage a girl labeled ADD to remember her homework assignments. The teacher made a cassette recording of her homework instructions, followed by her favorite musical selections, and then more homework instructions. The girl would rush home every day to listen to her tape, and her ability to remember homework assignments rose dramatically. Some teachers have developed specific bodily-kinesthetic “cues” with students to signal certain classroom instructions (e.g., rubbing the tummy means it's time for lunch, lowering both outstretched hands means “Bring down the energy level a notch or two,” a finger pointed to the temple means “Remember to take your assignment home”). Finally, perhaps the most powerful—and exciting—application of MI theory involves teaching it to students. Many teachers find it very easy to teach (it may help to use simpler terms, such as word smart, number smart, picture smart, music smart, body smart, people smart, self smart, and nature smart). It's important to emphasize that everyone has all eight kinds of smart. For the student who may feel disheartened by hearing everyone talk about him as a “deficit disordered” learner, MI theory provides a new—and positive—vocabulary to describe how he learns best, and what he may need in a particular learning situation to respond in a positive way (see Armstrong, 1994; Lazear, 1993). Incidental learning is the way that all of us learned during the first few years of life. It refers to nondirected learning; the kind of learning that takes place in the course of ordinary life; the knowledge that we acquire by simply absorbing it from the environment in incidental ways. The manner in which youngsters learn to talk is a good illustration of this kind of learning. Parents do not sit down and teach their infants words one-at-a-time (or at least, they shouldn't!). Rather, the youngster learns by listening to others speak, imitating them, receiving spontaneous feedback from parents and others, and practicing the sounds she hears. In the same way, so many other things that we've learned, from riding a bike to getting along with our boss, have been acquired through incidental learning. Most teachers, unfortunately, do not value incidental learning. What's important in most classrooms is that students direct their attention to very specific stimuli: the teacher's voice, test item number 24, the math problems on page 97, the assignment on the blackboard. These are precisely the sorts of requirements that many kids labeled ADD/ADHD have the hardest time with in the classroom. They either cannot or will not pay attention to such central-task stimuli unless prodded to do so with behavior modification reinforcements or other inducements (including medication). Some research suggests, however, that many of these kids may in fact possess superior incidental attention. In other words, they pay most attention to things that they're not supposed to be paying attention to! While the teacher is talking, they're listening to what Frank is telling Sam in the back of the classroom. They're reading the graffiti on the blackboard that the teacher didn't even notice. They hear footsteps in the hall, or a fire-engine siren in the distance. The biggest mistake that many teachers make with this kind of incidental attention is ignoring it or trying to force it back to central-task attention. Teachers who value incidental learning find ways to bring the two types of attention together. For example, a teacher may be reading a story about a character named Barney, who is lost in the woods. Suddenly, a fire engine goes by the school in real life. Instead of fighting it (“Class! Let's have your attention! Joseph! That's a point off!”), the sensitive teacher might respond, “And that's the sound of the rescue trucks coming to help poor Barney!” Immediately, the “incidental” stimulus becomes the central one, and the child whose attention has “wandered” suddenly finds himself back in the middle of the story! Teachers may introduce vocabulary or spelling words to a class by putting decorative posters on the walls the week before they are officially introduced. As the eyes of students wander around the classroom that week, they often focus on the posters and the spelling words (remember, they're not supposed to be paying attention to the words that week!). As a result, they are often more successful in learning them during the “official” week they're presented. Students listen to material recited by the teacher in a rhythmic way while listening to background music. The students are instructed “not to listen to the teacher's voice but just to relax and enjoy the music.” Research studies suggest that this approach to learning can be very powerful in acquiring certain kinds of knowledge, such as a foreign language (Druckman & Swets, 1988). Drama is also used as a part of accelerative learning. A teacher may present a lesson as a puppet show or dramatically dress up in a costume to illustrate a point about a subject (this reminds me of Jaime Escalante dressed up in an apron with an apple and cleaver to illustrate fractions to his math class in the movie Stand and Deliver). These are the sorts of activities that students will remember long after they've left school. The memories last because the actions of the teacher “riveted” the students' attention. In a field dedicated to helping kids with attention problems, it's truly amazing to me that so little has been printed in the ADD/ADHD literature about how teachers can vividly capture students' attention. Quite apart from the fact that incidental learning can be used to teach material directly relevant to the teacher's objectives, sometimes students' “off-task” behavior can be quite educational. In one study, Dyson (1987) noted that children's off-task verbal behavior helped them develop intellectual skills. In other studies, children identified as ADHD showed more creative, spontaneous talk than so-called normals (Zentall, 1988), and often showed in their nonsanctioned “private speech” the capacity to organize thinking that was actually quite task-relevant (Berk & Landau, 1993). Most child development theorists emphasize that children's free unstructured play—which could be called “self-directed, off-task behavior”—contributes to a child's intellectual, social, and emotional welfare and even to humanity's adaptation to changing environments (Mann, D., 1996; Sutton-Smith, 1998). During my five years of teaching kids with behavior and attention difficulties, I always had a time during the day—usually 20–30 minutes—of “choice time.” During this time, students were free to engage in “unstructured off-task behavior” of their own choosing (including painting, reading, drama, carpentry, typing, and listening to music). For many kids, this time was the best part of their day. It remains for educators to see the value in children's “off-task” or “incidental” learning, and make use of it to help kids be successful in school and life—especially those kids labeled ADD/ADHD who may do much of their learning in this way. As I stated in Chapter 2, many children labeled ADD/ADHD are products of our “short-attention-span” society, moulded as they have been by quickly shifting images from television, video games, and computer software. In Chapter 2, I emphasized the negative aspects of this contemporary phenomenon, how media moguls have shaped the attention spans of children (and adults), creating greater and greater demands for higher and higher levels of stimulation. I need to point out, however, that despite the many problems of the high-speed media phenomenon, it is here to stay. Like it or not, the shifting images and sounds are likely to be with us for the long term, and to become even faster and more jarring for educators who are accustomed to training children to process information in linear, one-step-a-time knowledge units. Given the likelihood, then, of increased levels of high speed stimuli in the future, we should take advantage of this phenomenon—we need to explore the potential value of high-speech technology in helping kids labeled ADD/ADHD learn more effectively. In fact, it may be that kids with attentional and behavioral difficulties may be particularly well-suited to such technologies, given their propensity for high stimulation (Zentall, 1993a; Zentall & Zentall, 1976). One of the biggest developments in computer technology over the past 10 years has been the advance of “hypertext” in software programs and in the vast linkage system of the Internet. The similarity in terms between “hypertext” and “hyperactive child” cannot have escaped notice by at least a few educators. It appears as if this new nonlinear way of accessing information—through links that “click” to links that “click” to further links along a network of vast possibilities—mimics to at least some degree the workings of the minds of many kids with attentional or behavioral difficulties. The ADD/ADHD literature has frequent references to this kind of nonlinear mind (Moss, 1990, p. 59). The problem is that this facility of mind is regarded in the deficit-based ADD/ADHD paradigm as a negative quality: distractibility. It is, in fact, one of the primary symptoms of ADD/ADHD. Regarded in a more positive way, however, this same quality can be considered as divergent, associative, or creative, and perfectly well-suited to the requirements of “surfing the net.” In fact, in such a cyber-environment, the person who processes information best in the old-fashioned linear way prized by schools for centuries may be at a distinct disadvantage. The popular literature is full of examples of people who have risen to prominence in the computer industry over the past 20 years who did not thrive well in traditional school environments and who are bringing an entirely new ethos to the world of business and the broader culture (see, e.g., Rose, F., 1987). It remains for the educational world to explore in detail the relationship of this new divergent way of processing information with the associative minds of kids labeled ADD/ADHD. Of course, we can certainly bore children with poor computer software programs—for example, electronic versions of the worksheets, tests, workbooks, lectures, and verbal directions that bored them before. But designers of innovative programs have found ways of avoiding these pedagogical pitfalls and stimulating high levels of interest, attention, and performance with all kids. In addition to computer software and the Internet, the educationally sound use of television, film, and other educational technologies may be particularly well suited to kids with short attention spans. Some research, indeed, points to the ability of kids labeled ADD to sustain normal attention levels while watching television (Landau, Lorch, & Milich, 1992). Other researchers have underlined the commonsense suggestion that parents and teachers should limit television, video games, and computer time with kids labeled ADHD—and should make sure they avoid all violent programming (Heusmann & Eron, 1986). But the judicious use of high-stimulation technology can provide an important educational resource to help these students acquire information in a way that is in synch with their hyper-minds. As noted in Chapter 1 of this book, the term “attention-deficit disorder” is a cognitive construct. Thus the primary concern of those in the ADD/ADHD field ought to be how to better understand the ways in which children with this label actually think. Because the construct has developed within the context of a deficit or disease-based paradigm, however, research has actually tended to focus much more on how children identified as ADD/ADHD really can't think as well as “normal” kids (Hamlett, Pellegrini, & Conners, 1987; Penington, Groisser, & Welsh, 1993). As a result, what cognitive strategies that ADD/ADHD researchers and practitioners have developed have focused on getting these kids to think more like normal people. Studies on the efficacy of cognitive approaches have produced mixed results in whether one can train the minds of children labeled ADD/ADHD to attend, remember, focus, or “think” more effectively (Abikoff, 1985; Fehlings, Roberts, Humphries, & Dawes, 1991). One reason for the mixed results may be that researchers are artificially imposing specific cognitive procedures on kids labeled ADD/ADHD without seeking to discover how these children actually think. We need research on the actual subjective experience going on inside of the minds of children with attentional and behavioral difficulties. Do these kids think in words, numbers, pictures, music, physical sensations, or in other ways? With the advent of new models of thinking and learning we now have more ways in which to contextualize the different ways of thinking in kids labeled ADD/ADHD (Gallas, 1994; Houston, 1982; Samples, 1976; Schwartz, 1992; Taylor, 1991). Strategies like self-talk, visualization, and biofeedback may tap the natural cognitive assets that kids labeled ADD/ADHD have to help them succeed in and outside of the classroom. The use of words to help direct the mind toward specific goals is one of the central features of verbal activity in human beings. Young children organize much of their thinking through private speech, or the process of talking to themselves or to no one in particular (Vygotsky, 1986). Gradually as we develop, this stream of words becomes internalized as inner speech. The parallel chatter of youngsters at play is replaced by the “silent mind chatter” of adults at work. The ADD/ADHD field has directed much of its attention in cognitive therapy to approaches that seek to train kids identified as ADD/ADHD to use “self-talk” strategies. Recent research suggests, however, that many kids with attentional and behavioral difficulties may already possess the ability to use task-relevant self-talk in the classroom, and that cognitive training programs are simply teaching them something they already know how to do (Berk & Landau, 1993). Berk and Landau suggest that teachers arrange classroom environments to allow such children to use their already naturally occurring private speech during work periods in such a way that they are not disturbing others. Berk and Potts (1991) have pointed out that some children labeled ADD/ADHD may continue to use private speech after others in the classroom have internalized their self-talk as silent mind chatter. In such environments, this self-talk may stick out and be regarded as “off-task” or “disruptive” behavior (and even used to affirm the diagnosis of ADD/ADHD). By understanding that these kids may need to use their natural self-talk capabilities while working to help them think more effectively, teachers may come to see these types of behavior as a positive educational tool, not as a disruptive behavior. Children with attentional and behavioral difficulties may process information more readily through posterior, spatial areas of the brain than through anterior, linguistic areas (Mulligan, 1996; Sunshine et al., 1997). In such cases, visualization rather than self-talk may be the preferred way of organizing thinking. These kids may be the day dreamers in class—perhaps those who are not as outwardly active or talkative, but rather inwardly drawn to their imaginative faculties, and thus more likely to be diagnosed as ADD without hyperactivity: distractible, forgetful, disorganized. The linguistic bias of our schools and culture is so strong that there is no research base to speak of on the visualization capabilities of children labeled ADD/ADHD. We need to have studies that look into the minds of these kids and attempt to discover the nature of the images that form the basis of their daydreams, fantasies, and imaginations while they sit staring off into space in the classroom. Of special interest would be the extent to which those images are connected in some way with the curriculum. It has been noted by ADD/ADHD experts (e.g. Moss, 1990) that kids with attentional difficulties often have associative minds that may be triggered by a task-relevant event in the classroom but then spin off from that stimulus into associations that are considered offtask. I believe we should study the patterns of these thoughts—especially those that are based on images—to determine how they might be used in the service of the curriculum. Some educational researchers have investigated the use of visualization, guided imagery, imagination, and similar tools to help students learn content more effectively (Allender, 1991; Murdock, 1989). Educators should learn how to use these resources to help students labeled ADD/ADHD with high visualization or imagination skills. For example, a teacher might lead a student on an imaginative journey through the circulatory system to help her master certain anatomical concepts. Or a child might be taught how to visualize the steps of a math problem, the plot of a story, the spelling of a word, a scene from history, a strategy for coping with anger, or a way of picturing himself as a successful learner. Researchers have found some evidence that these approaches may be successful with kids who have behavior and attention difficulties (Murdock, 1989; Schneidler, 1973). And just as spontaneous self-talk may be a natural ability in some kids labeled ADD/ADHD to help them to think and work more effectively, we ought to explore whether something similar might be true with respect to spontaneous image production. In such cases, we may want to encourage the active imagination of certain students while they study. For thousands of years, cultures in every part of the world have developed techniques and systems of training attention: tai-chi, yoga, meditation, introspection, visionary quests, rites of passage, reflection, reverie, and more (Dang, 1994; Goleman, 1996; Iyengar, 1995). It strikes me as curious that in a field dedicated to helping children who struggle with their attention, there is scarcely a mention in the ADD/ADHD literature of any of these attention-training methods. Yet other educational books and articles include references to the use of various techniques to help kids labeled ADD/ADHD train their ability to focus on a stimulus. In one study, adapted from an approach used by Harvard physician Herbert Benson (Benson & Klipper, 1990), kids labeled ADD/ADHD who were asked to focus on a sound for a few minutes each day, experienced less distractibility and impulsivity, and greater ability to attend (Kratter & Hogan, 1982). In other examples, researchers trained kids to focus on images. Oaklander (1978) used a “roaming meditation” as a part of her work with children who could not hold their focus on a single object for more than a second or two (pp. 226–227). She asked a child to report on what he was looking at “right now”; and as his attention shifted, she asked him again, “What do you see now?” and continued this process until his ability to attend to one thing gradually increased. A more recent tool for training attention uses technology. Biofeedback seeks to help people identified as ADD/ADHD regulate their own electrical activity within the brain. The human brain generates very small electrical currents that can be measured on an electroencelphalogram (EEG). These currents vary in amplitude, depending on the state of mind of the person who is hooked up to an EEG machine. For an adult in a quiet, resting state, much of the EEG record will consist of alpha waves repeating themselves at the back of the head at about 10 hertz (a hertz is an international unit of frequency equal to one cycle per second). More focused states of alertness produce a more rapid rhythm in the central and frontal portions of the brain (18–25 hertz) and are referred to as beta waves. Slow rhythmic waves occurring at frequencies of 4–7 hertz are called theta waves and are considered normal activity in infants and young children, but tend to decrease during the elementary school years. Theta waves tend to be associated with daydreaming, creativity, hypnogogic imagery, and a wide focus of attention. Some research suggests that certain children with attentional and behavioral difficulties produce more theta (wide focus) and less beta (narrow focus) than do comparison groups (Lubar & Lubar, 1984). These results are consistent with some of our observations regarding the imagination, creativity, and wide focus of many kids identified as ADD/ADHD. Biofeedback training may help these kids generate less theta and more beta, thus improving their ability to focus and concentrate on task-specific stimuli. Biofeedback training typically consists of several sessions in which a child who is hooked up to an EEG device is invited to cause stimuli on a computer screen to respond in a certain way (e.g., keep a boat afloat, make a yellow ball stay within two green squares). He is instructed to do whatever he needs to do, using only his mind, to control the objects. Although this field is controversial—training background for professionals using biofeedback varies tremendously and claims for “ADD cures” are unfounded—some types of biofeedback training may be helpful for certain kids with the ADD/ADHD label (see Lee, 1991). The most visible signs of children who have been labeled ADD/ADHD (especially ADHD) involve physical movement: fidgeting, squirming, and running around when required to be seated or be quiet. Why not focus on the physicality of these children, with the intention of developing strategies to help them be more successful in the classroom? The ADD/ADHD paradigm, generally speaking, sees this physicality as a problem. The emphasis in “treatment” is on seeking ways of subduing “excess” movement in these kids so that they can sit still long enough to focus on the material at hand. One of the most frequently cited phrases in the ADD/ADHD treatment literature relates to the need to help these kids: “STOP, LOOK, and LISTEN!” Such a perspective, however, usually requires external control of the child, including medication and behavior modification, to be successful. Moreover, it is based on a traditional model of education that sees optimum learning taking place under conditions where children are seated quietly at their desks, rather than while learning in more dynamic ways. A holistic approach, on the other hand, validates the child as he is, seeking to understand the potential value of his high levels of physical energy, and searching for ways to make that physicality a positive asset in the classroom. As pointed out earlier in this book, many kids labeled ADHD may, in fact, be highly developed bodily-kinesthetic learners—kids who learn best by moving, touching, building, dramatizing, and experiencing the material of the curriculum in other physical ways. As such, educational approaches based on role play, hands-on learning, and other kinds of dynamic learning may be more appropriate ways of helping ADHD-labeled kids be more effective in the classroom. It might be far better for educators to develop innovative methods to help these kids: “GO, LOOK, and LISTEN!” In this section, I suggest several strategies that are based on this positive perspective, such as allowing appropriate movement, providing hands-on instruction, and promoting a strong physical education program. Once, after a lecture I gave on the ADD/ADHD issue, a teacher came up to me and said: “You know, I always give a kid like that two desks: one desk on this side of the room, and another on the opposite end. That way, if he gets out of his desk, he's always moving toward his other desk!” Whether or not you agree with this particular strategy, what makes it interesting is that the teacher has attempted to take behavior that is usually disruptive (getting out of his desk frequently) and turn it into appropriate behavior (moving toward his “other desk”). This general philosophy has guided the strategies of many good teachers over the years to help “high movers” in the classroom be successful. Another teacher told me about a student who was constantly fidgeting, out of his desk, and failing in reading class. One day, the teacher had forgotten to water the plants and asked this student to go to the back of the room and do the watering. While he did this, she gave the phonics lesson for the day. Later on, when the class was tested on the material, it turned out that this was the first time he got 100 percent correct on the test! She realized that he was a student who needed to move while learning, and so she started designing other chores and activities he could do during lectures. In the ADD/ADHD world, teachers are instructed to seat a child labeled ADD/ADHD at the front of the class, near the teacher so she can keep an eye on him (CH.A.D.D., 1994). The problem with this strategy is that the student can twist and turn and fall out of his chair to the amusement of all the students in the class. Many teachers I've talked with have been more successful in letting such students sit at the back of the classroom with the understanding that if they need to get up and stretch or move around (where they can't be directly seen by most students), they can do so as long as they don't disturb anyone. In one case, a teacher enlisted the help of a parent volunteer to create a lectern at the back of the classroom for a child identified as hyperactive, where he could study sitting down or standing up (Markowitz, 1986). They installed a sewing machine treadle at the bottom so he could keep his feet in motion, and lined the inside of the lectern with felt so that he could get tactile stimulation. Other teachers have provided opportunities for kids to be physical while learning by using a “reading rocking chair,” a minitrampoline, and a “math bathtub” (a freestanding bathtub that students are allowed to get into, but only to do math homework!). Some teachers even give kids little squeeze balls so that they can keep their hands busy while they are listening to the teacher or reading a book. Learning spelling words by having kids jump up out of their seats on the vowels and sit down on the consonants. Mastering the multiplication tables by forming a conga line, moving around the classroom counting from 1 to 30 out loud, and on every multiple of 3 shaking their hips and legs. Acquiring historical knowledge by role playing a “typical” day in the life of a Puritan household in Massachusetts in the 1640s. Showing patterns of molecular bonding in chemistry class through a “swing your atom” square dance. Demonstrating an understanding of character development in a novel by having students pantomime the rise and fall of selected figures in literature. Understanding the impact of geographic terrain on the experiences of Lewis and Clark by having the class take a simulated “journey” across the classroom. Moreover, kids with attentional and behavioral difficulties may benefit from any special project that requires students to function in cooperative groups, interview others, engage in labwork, build structures, play learning games, or move actively in other curriculum-related activities. Such projects provide important potential outlets for the physical energies of kids labeled ADHD (Griss, 1998; Hannaford, 1995; Patterson, 1997). One of the simplest techniques is to teach a student how to alternatively flex and relax different muscles in his body to help discharge some of the muscular tension that he wants to express in more overt ways (this is called progressive relaxation). You can teach students a one-minute progressive relaxation procedure that they can do at their desks quietly without others in the classroom even noticing. Similarly, you can show students how to take a deep breath, hold it briefly, relax, then repeat the procedure a few more times, as needed. Such deep breathing can help some students discharge physical energy and also center their focus of attention when they feel fidgety or restless. Use visualization strategies involving kinesthetic imagery, such as letting students know that they can “physically move around in your mind” (e.g., “Do 40 push-ups in your imagination”) instead of moving around the classroom. This can help students transform their physical energy into mental energy that can then be “acted out” internally with no disruption to the class. Researchers have reported favorably on the use of many of these techniques with students described as “hyperactive,” “ADHD,” or “behavior problems” (Dunn, F. M., & Howell, 1986; Omizo, 1981; Richter, 1984). Many years ago, children who had particularly strong needs to learn through physical involvement were described as “haptic” learners, from the Greek haptos, meaning “to lay a hold of” (Lowenfeld, 1987). These were kids who learned best by laying a hold of whatever was available in the learning environment. Use manipulatives to learn math concepts (e.g., Cuisenaire rods, Dienes blocks, UNIFIX cubes) (Davidson, 1996). Create battlefields (using miniature soldiers, game boards, and other materials) to illustrate major conflicts during the Revolutionary War. Employ hands-on lab materials to teach science concepts. Build dioramas that set the scenes for particular events in a short story or novel. Design building structures to learn about architecture. Make 3-D relief maps to show geographic features of the local region. Form letters out of clay to learn alphabet shapes. Invent and build special machines to illustrate cause and effect. Just as teachers encourage students to write down or draw their ideas in class, there also should be opportunities for students to create hands-on models that represent their current thinking on a school-related topic. For example, if students are learning about the concept of the national debt in economics, teachers might give them balls of clay and ask them to create a 3-D representation of a potential solution to the national debt. You can use many other hands-on materials as well for concept formation, including pipe cleaners, wire, blocks, collages, or even a simple piece of white paper that can be torn, crumpled, or formed in other ways to represent a “kinesthetic sculpture” of a concept. For example, students could create paper sculptures of the following vocabulary words: bulbous, fragmentary, and elongated. When kids labeled ADD/ADHD are allowed to use their hands to express what is in their minds, they may well be able to produce some very creative, unexpected results and display positive traits that were hidden under a landslide of negative behavior. When the American Pediatric Association issued a position statement on the use of Ritalin a few years ago, they suggested that educators use a number of alternative strategies before physicians prescribed a trial of psychostimulants for an individual child. Among the alternatives listed was “a strong physical education program.” (American Academy of Pediatrics, 1987). Every good teacher knows that a run around the school two or three times is a natural prescription for a restless class or student. A strong physical education that builds in regular opportunities for physical release and other forms of physical culture, however, represents a far sounder approach to help students deal with their restless physical energies. Unfortunately, very few schools and school systems in the United States promote strong physical education programs; and many existing programs are limited to calisthenics and a few competitive games (Portner, 1993). Clearly, the developing human brain and psyche were not designed to sit quietly in classrooms for hours on end.... Rather the brain was designed to frolic with other youngsters, especially out-of-doors (p. 3). Panksepp suggests that the gradual disappearance of brain-friendly “rough-and-tumble play” in our culture may be correlated to the increased incidence of attention disorders in our classrooms. A strong physical education program in our schools can help provide some of the high physical stimulation that many kids labeled ADD/ADHD may require on a daily basis. What are these kids feeling inside? What are they despairing of? Who and what do they despise? What fills them with passion and joy? How they do feel about themselves? How do they feel about school? About their friends? About their parents? Whereas the ADD/ADHD field has focused its attention on external behavior, internal thinking processes, and biological causality, any attempt to understand the needs of kids identified as ADD/ADHD requires that we also have a sense of their inner emotional lives. We need this understanding to help them become successful in school and life. Still other kids may experience deep feelings of unworthiness because of the effect of negative school, peer, or parentingexperiences. In some cases, the response of educators to such deep-seated emotional upset should be to make a proper referral to a licensed mental-health professional. In other instances, the role of the educator should be to directly address the affective domain in school so that these emotions serve to enhance and not disrupt the classroom experience. Strategies like encouraging the expressive arts, holding a positive image, and using positive role models can help accomplish this objective. One might regard the behaviors that make up a description of ADD/ADHD—hyperactivity, distractibility, and impulsivity—as “misdirected energy.” The expressive arts provide an opportunity to reroute that energy in a positive direction. Researchers have suggested that many kids labeled ADD/ADHD do not display as much disruptive behavior when engaged in arts-oriented activities, such as painting, drama, dance, and play, as they do when involved in more traditional school-based tasks (Berlin, 1989; O'Neil, 1994; Smitheman-Brown & Church, 1996). These expressive arts provide ready-made channels within which the undirected energies of kids can be allowed to flow. Support a strong arts-oriented program at your school, with courses in dance, music, painting, drama, creative writing, sculpture, and other creative forms, and enroll kids labeled ADD/ADHD in arts courses that reflect their deepest interests. Provide a space in your classroom for creative activity, including puppets, paints, costumes for drama, and building materials. In my own classroom for kids with behavior problems, I used to have a “world-making” area, where kids could create miniature towns and cities using clay, figurines, toy vehicles, plastic trees, and other small play objects. Explore opportunities outside of school where a child identified as ADD/ADHD can take music, dance, or painting lessons; enroll in a children's theater company; or become involved in other ways with creative projects in the community. Build in opportunities for using the arts in every part of the curriculum (e.g., having kids do role-play in history lessons, draw pictures to illustrate math word problems, create raps and songs about characters in literature) (Margulies, 1991; Spolin, 1986; Wallace, 1992). As educators begin to think about the symptoms of ADD/ADHD as untapped creative potential, we will see less of a tendency to pathologize kids with this label, and more of an opportunity to help these students realize their inner potential. In this book, I've emphasized the problems in using negative labels to describe kids who are struggling with attention and behavior difficulties. This process of negative labeling adds insult to injury: It formalizes or institutionalizes the negative experiences of the student. If students are having difficulty with school, they certainly don't need to have a label hung around their necks that includes two negatives in it (attention deficit disorder). Rather, they should be surrounded by adults who see the best in them. The spirited child (Kurcinka, 1992). The active, alert child (Budd, 1993). The “hunter in a farmer's world” (Hartmann, 1997). The “right brained child in a left brained world” (Freed & Parsons, 1998). The child with “the Edison trait” (Palladino, 1997). In the latter case, you acknowledge the child's ADD/ADHD status, but you do so in terms of the actual social fact of having been diagnosed or labeled (an event that actually occurred), rather than in terms of who the child is, or what the child has (suppositions that are questionable in the context of this book). This might seem like political correctness to some, but there is strong empirical support for the finding that what we tell other people about a student can affect that student's performance (Rosenthal, 1978; Rosenthal & Jacobson, 1968). Teach your ADD/ADHD-labeled students about models of learning that can help them understand themselves better. Rather than emphasizing therange of literature designed to help students understand their ADD/ADHD (e.g., Galvin, 1988; Gehret, 1991; Levine, 1992), I suggest instead, that teachers help students understand their multiple intelligences (Armstrong, 1994; Lazear, 1993), their learning styles, their temperaments, or other models of self-understanding. Certainly, if students receive the ADD/ADHD label, they deserve a frank and forthcoming explanation of what it means, but you should give this information in the context of a broader discussion about who the student really is and what he is capable of becoming. Make a detailed list of all the positive traits, types of positive behavior, talents, interests, intelligences, aptitudes, competencies, and abilities of each student you have who is labeled ADD/ADHD. Each time you feel overwhelmed by the negative behavior of this student, take out this list and study it. Visualize this student as a positive learner. Use a range of positive terms and descriptions when talking about a student labeled ADD/ADHD to others, including spirited, passionate, creative, alive, exuberant, and imaginative. You should not use these terms gratuitously or as a way of explaining away bad behavior. But they should serve as portals to more positive ways of thinking about these kids. Make sure you let students labeled ADD/ADHD know that you see them as positive learners. Contravene their negative descriptions of themselves with some of the positive terminologies we've described. Help them construct and hold an image of themselves as a highly competent individual. Winston Churchill was thrown out of every school he ever attended as a child. Pope John XXIII was sent home from school with a note saying that he continually came to class unprepared, and he didn't even give the note to his parents! Beethoven was rude to his friends and highly disorganized in his home life. Louis Armstrong spent time in an institution for delinquent boys. Sarah Bernhardt was expelled from school three times. Use photos, biographies, movies, and role play to make vivid the lives of these positive role models. Consider bringing into the classroom individuals from the community who have struggled with behavior problems in school and yet who have done well in their chosen fields. Explore careers in the world that require people with high levels of energy who like to move around, change activities frequently, and self-regulate their own work (e.g., self-employed businessperson, freelance writer, music or dance therapist, craftsperson, aerobic fitness instructor, public relations consultant, recreational worker, building contractor). The research literature within the ADD/ADHD paradigm is fairly consistent in pointing to the social difficulties that many kids labeled ADD/ADHD have with peers, teachers, and parents (Barkley, 1990). To help with these problems, experts in the field have created social skills programs designed to help these kids learn the art of making friends, how to recognize social cues, and how to deal with anger in relationships (Guevremont, 1990; Kolko, Loar, & Sturnick, 1990). Not all kids labeled ADD/ADHD have social problems; some, in fact, are leaders, popular with friends, or naturally gregarious. Some kids who show social difficulties in school may demonstrate social skills in nonschool contexts: in community theater, volunteer roles, or even in nonsocially sanctioned activities such as gangs. Even among many kids who show clear social adjustment problems both inside and outside of school, their difficulties may stem more from their strong personalities, intense individualism, or the possession of a passionate nature, than from specific social deficiencies related to ADD/ADHD. As noted in the “Positive Role Models” section, many highly creative and eminent people in history were not easy to get along with because they marched to the beat of a different drummer and existed outside of the social norm. In a similar way, many kids labeled ADD/ADHD who experience social problems may have interpersonal difficulties because they simply don't fit into the normal social conventions of what is considered acceptable behavior within particular social contexts (e.g., specific peer groups, school culture). This does not excuse their need to fit in (especially because most children would like to fit in). These observations, however, suggest that we view the interpersonal situation somewhat differently from how ADD/ADHD experts would suggest: for example, not as deficits in social behavior, but rather as a “poor fit” or mismatch between the person and one or more specific social contexts. One way of creating a new and more positive social context is through peer or cross-age tutoring. By pairing up a student labeled ADD/ADHD with a younger child (cross-age tutoring) to help with a specific activity (e.g., a reading or math skill), the student with attention or behavioral difficulties has to function as the responsible member of the relationship. Through peer tutoring, an ADD/ADHD-labeled child can share a skill she knows how to do with a student of the same age who lacks that skill. In one program, a group of kids identified as having behavior problems successfully taught a group of kids labeled “gifted” how to use certain symbols in sign language (Osguthorpe, 1985). Programs like this turn labels on their head and redefine social contexts so that students can learn to see each other in new ways. Finally, buddy programs, where an older student (with or without the ADD/ADHD label) takes a child labeled ADD/ADHD under his wing, can provide that child with a positive role model to learn acceptable forms of behavior (DuPaul & Henningson, 1993; Fiore & Becker, 1994). Consider setting aside regular class time to hold meetings based on William Glasser's educational ideas (Glasser, 1975; Glasser & Dotson, 1998). These meetings provide more opportunities to create special social settings within which students labeled ADD/ADHD can learn new kinds of social behavior and experience themselves as positive social beings. Certainly, class meetings and other cooperative groups could be used simply as an opportunity for other students to complain about the behavior of these kids, only aggravating already problematic relationships. Run properly, however, a class meeting can provide opportunities for students labeled ADD/ADHD to get supportive feedback on how they are coming across to others, to receive social recognition for positive things they've done in class, to share their own constructive feelings and ideas about class issues, and to feel like an equal member of a total social unit. Let students labeled ADD/ADHD share a special interest with a class or teach the class something they know how to do well. Find other students you feel that this child would be compatible with, and group them together for certain class activities. Think about other social settings that you feel the student might experience some success in: class parties, after-school clubs or sports in the student's areas of interest or expertise, class sing-a-longs, or nature walks, for example. Be sure to establish positive rapport with the child yourself. Take a little time at the beginning of the day to talk personally to the student about his life, concerns, needs, and hopes for the day. At the end of the day, touch base with him again to review the day's events. Knowing that he has one reliable positive social relationship in school to serve as a kind of a touchstone may make it easier for him to venture forth into the often choppy social seas of school culture. The holistic approach taken in this book might well be regarded itself as ecological in nature (because it seeks to comprehend the broad terrain, so to speak, of a child's life, rather than simply the “potholes” or deficits). But the strategies listed here as “ecological” relate directly to specific aspects of the child's immediate environment: space, time, food, sound, and color. By understanding the positive and negative effects that these environmental factors can have on the attention spans and behaviors of students labeled ADD/ADHD, educators can begin to modify the environment to reflect an optimum level of support for each student's unique ecological sensitivities. Most educators are familiar with studies where rats were placed in overcrowded conditions and responded by displaying greater evidence of aggressiveness (Weinstein, 1979). Other studies have attempted to link overcrowded housing to hyperactive behavior in some kids (Thomas, Chess, Sillen, & Menzez, 1974). Such findings certainly shouldn't be ignored when it comes to the classroom, especially in situations where students labeled ADD/ADHD may be required to learn in overcrowded classrooms. What Weinstein noted in 1979 still applies: “Nowhere else [but in schools] are large groups of individuals packed so closely together for so many hours, yet expected to perform at peak efficiency on difficult learning tasks and to interact harmoniously” (p. 585). The barrenness and homogeneity of the physical parameters of classrooms can deaden arousal and interfere with children's capacities to stay alert and attentive. Cold, shiny tile floors, multiple chairs and tables of identical design and hard finish, dull-colored walls lacking recesses or changes in texture, ceilings of uniform height, which dwarf the size of the room's occupants, and fluorescent lights, which spread a constant high-powered glare over all activities indiscriminately, all contribute to feelings of boredom, listlessness, and dislike for the settings in which learning takes place (p. 95). Forty years ago, educators put children identified as “hyperactive” into bare rooms in the belief that any extra stimulation would set them off (Cruickshank, 1975). As we've seen earlier in this book, however, research now suggests that many kids labeled ADD/ADHD may be under aroused and need a high-stimulation environment to calm them down (Zentall, 1993a and b; Zentall & Zentall, 1976). Bland classroom spaces, such as those described by Olds, may lead these students to seek stimulation through fidgeting, daydreaming, socializing, or wandering around to reach their optimal level of arousal. Allow students to configure their workspace in a way that permits them to express their individuality (e.g., through art designs and displays). Each student should feel that she has a space where she feels a sense of ownership and belonging. Provide different types of spaces in the classroom that are appropriate to different energy states (e.g., a private nook for quiet reflection, a social area for interpersonal interaction, a hands-on area for building things or creating projects) and use them to match a student's energy level to a specific space. Creating a variety of ways in which students can complete work (e.g., sitting, standing, lying down, working alone, working in pairs, working in groups), and provide the appropriate spaces for these types of configurations to work effectively. Enliven the classroom with plants and animals (e.g., potted plants, a gerbil cage, a terrarium). Where possible, substitute natural light and incandescent light for fluorescent lighting. Consider some of the following additions to help personalize classroom space: pillows, soft furniture, kid-sized furniture, mobiles, murals, carpets, canopies, and wall dividers. In a classroom space that is inviting, stimulating, diverse, and personalized, students labeled ADD/ADHD may be less likely to feel that they need to create a space for themselves through hyperactive, impulsive, or distractible behaviors. Schedule activities requiring short-term memory (e.g., pop quizzes, drill, lecture, fact-based responses) and problem-solving (e.g., math tests, science experiments) in the morning hours. Plan open-ended experiences (e.g., reading for pleasure, art, music) and activities involving motor activity (e.g., hands-on projects, physical education, games) in the afternoon. It makes sense to schedule curricular priorities that require rapt attention and precise response during the morning, when it's easier to maintain attention. It is also logical to schedule interesting activities that demand less precision and sustained attention in the afternoon, when students' inherent interest in the activity will elevate their attention level (p. 74). Individual students, however, may not necessarily follow these broad patterns (Callan, 1997/1998). For some kids, it may be necessarily to keep a daily log on their behavior to determine which time of day tends to reflect their peak time of focused attention. Once this time of day has been identified, then material requiring sustained attention can be presented to these particular students during their best time of alertness. Background noises in the classroom can serve to either enhance or disrupt the attention and behavior of students. In one study, S. Cohen, Evans, Krantz, Stokols, and Kelley (1981) looked at the performance of students at a school near Los Angeles International Airport—with the constant sound of planes flying overhead—and concluded that they were more likely to give up in frustration on academic tasks than a group of controls in schools not situated near airports. Teachers should be aware of how other noises, such as the buzzing from fluorescent lights, the hum of school furnaces, and the noises from nearby factories or outside traffic, might serve as distractions for students labeled ADD/ADHD. On the other hand, some sounds—especially music—may prove to enhance the learning environment for kids with attention and behavior difficulties. In some studies, rock music has been observed to calm down groups of students, identified as hyperactive or ADD/ADHD (Cripe, 1986; Scott, 1969). In such cases, the background recordings appear to serve almost as a kind of “musical Ritalin,” providing the extra stimulation required by some kids who have been labeled ADD/ADHD. Start the day (or class) with music. This might simply be a musical piece to help center and calm, or a song that students sing together, or a live musical performance by students, parent volunteers, or others in the community. Provide a musical listening center in the classroom where students can listen to different types of music through earphones while studying without disturbing others. Consider using background music or a “white sound” machine to mask the sounds of chronic distractions (e.g., traffic, machinery) in the immediate environment. By choosing the right sounds for the classroom, you can help “soothe the hyperactive breast” and create a harmonious learning environment for all students. For at least some students identified as ADD/ADHD, it may be true to suggest that “what's eating Johnny is what Johnny's eating!” Like medications, food represents an aspect of children's environment that very literally becomes a part of their biological apparatus. As such, we need to consider its effect on attention and behavior, in any holistic approach to the ADD/ADHD question. For example, research has suggested that a balanced breakfast—that includes both protein and carbohydrates—helps students focus attention and limit restlessness (Conners, 1989). Some research also supports the use of special diets with a small group of students within the total group identified as ADD/ADHD. For some students, the removal of foods that contain special chemical additives (including artificial flavorings, synthetic dyes, and certain preservatives such as BHA and BHT) and those foods that have naturally occurring salicylates (e.g., apricots, cherries, plums) may help lessen hyperactivity (Feingold, 1974; Hersey, 1996). Although such diets have come under fire from food industry groups, several well-designed studies indicate that certain kids show a dramatic behavioral improvement after the removal of these foods (Egger, Stolla, & McEwen, 1992; Kaplan, McNicol, Conte, & Moghadam, 1989). Similarly, diets that seek to identify and remove allergenic foods from the diet—including such foods as chocolate, milk, wheat, or corn—have been shown to ameliorate the behavior problems of certain kids (Egger, Carter, Graham, Gumley, & Soothill, 1985). One of the difficulties with special diets is that it is difficult to determine in advance who will benefit. These diets can also be hard to implement inasmuch as they require controlling all the food that goes into a child'smouth every day. With the approval and willingness of a child to undertake it, however, a special diet may be worth pursuing in individual cases. The ADD/ADHD field has provided a wide range of techniques, methods, systems, programs, resources, and equipment based on Skinnerian principles of behavior modification (A.D.D. Warehouse, 1998). Although many of these programs and strategies are effective in changing behavior, most of them are used in an externally controlling way. Adults tell children what the rules are, and then reward the children with points, praise, or privileges, or “punish” them with “response costs” (e.g., removal of points, refusal of privileges). In such situations, students have little input into the whole process of behavior change. Research suggests, however, that students labeled ADD/ADHD may become frustrated with the removal of points or privileges and have a harder time behaving (Douglas & Parry, 1994). Other research indicates that these kids may function more effectively when they have some control over their fate (Adelman, MacDonald, Nelson, Smith, & Taylor, 1990; Powell & Nelson, 1997). As a result, it may be far better to use behavioral strategies that internally empower students than those that externally control them. The behavioral strategies listed here—collaborative discipline, student-chosen time out, and feedback—are intended to give students identified as ADHD a greater sense of ownership over their lives in helping to change attention and behavior. As such, they reach back to the original meaning of the word discipline, which is related to the Latin word discipulus, meaning “a learner.” We essentially want our students not to change their behavior like robots, but to do so with understanding, reflection, and learning, so that they can begin to regulate their own lives. Using a collaborative form of discipline, students have input into the rules of the classroom and into designing the rewards and “response costs” that will ensue if they do not follow the rules. In my own classroom for kids identified as having behavior problems, I switched over from an externally controlling reward system to this more collaborative approach over a period of several months. Before the new system was put into place, we spent hours discussing the rules and consequences for behavior. This process helped empower the kids immediately by providing them with opportunities to reflect on their behavior and its consequences in creating or inhibiting classroom harmony. Teachers who fear giving up control to students in such a situation needn't fear, because the teacher does have final veto power over the resulting system (often my students would suggest very harsh punishments for rule-breakers, in some cases reflecting their own abusive home backgrounds). In my classroom, however, the students felt honored at having their own voices listened to and their input considered and used in the final outcome. When the collaborative system was in place, students immediately started breaking the rules, but they were their rules. Moreover, they had to face consequences that they themselves had helped to fashion. Consequently, the kind of friction or power struggle that can emerge between student and teacher from an externally controlling system, simply no longer existed. Students had to learn to live within a system that they themselves had created. For information on creating discipline systems that empower rather than control, see Curwin and Mendler (1989), Kohn (1996), and Nelsen (1996). An excellent example of a behavior approach that can be used either as an externally controlling or internally empowering strategy is time out, where (in the externally controlling version) “noncompliant” children are told to go to a special area of the home or classroom for a designated number of minutes. This is the “dunce cap” area, or the rocking chair corner frequented by Dennis the Menace in the Sunday comics. In one of the most popular behavior-modification programs used by ADD/ADHD educators and parents—“1-2-3-Magic!”—time out represents the key component (Phelan, 1996). When a child misbehaves or is “noncompliant,” the teacher or parent is instructed to say “that's 1.” If the student continues to misbehave or be noncompliant, the educator is told to say “that's 2.” Finally, if the student doesn't obey, the parent or teacher says, “that's 3, take 5.” And the student must spend five minutes in a time-out area. The problem with this approach, or other time-out systems like it, is that students must go to an area with very little stimulation (usually a chair in an empty corner of the room) and simply wait there with nothing to do. Some teachers tell students to go to the time out area and “Think!” These generalized instructions, however, are rarely effective in providing a stimulus to help students right the wrongs they have committed. Instead of “thinking,” more often students will be daydreaming, fuming about the injustices that have been served upon them, planning strategies of revenge, fidgeting, throwing spitballs across the room at classmates, and engaging in other forms of disruptive behavior (which may earn them more time in the corner). Zentall and Zentall (1983) suggest that traditional time-out areas may not best serve the needs of students labeled ADD/ADHD inasmuch as these areas are stimulus-poor and thus do not provide the extra stimulation that many kids labeled ADD/ADHD require to reach their optimal level of arousal. As a result, these kids provide their own stimulation in the time-out center, in a way that is often disruptive to the classroom. Nelsen and Glenn (1991) have proposed an internally empowering way of using time out as a behavioral strategy. They recommend letting the child decide when it's time to go to the time-out area. They suggest giving the child a timer so that he can set and monitor the amount of time he needs to get himself together, and even letting the student select the location of the time-out area, giving it a special name that doesn't have punitive connotations (e.g., the “quiet space,” “home base,” “centering spot”). Books and recordings on discipline issues for children. Writing and drawing materials so that they can creatively express their own feelings about what happened. Games designed to help students learn effective coping strategies. One teacher called her area “the office” and let kids use it in other ways besides “time out” so that it was associated with positive learning experiences. Used in this internally empowering way, time out can serve as an important vehicle—not for punishing noncompliance—but for teaching new and more constructive patterns of behavior. Select a specific behavior (e.g., “falling” out of the desk) and count the number of times a student does this during the day. At the end of the day, give the student a slip of paper with this information (e.g., “Today, you fell out of your desk 5 times.”). Make sure to do this without comment. Do this for a number of days. Once the student is accustomed to this approach, have him keep track of his own behavior. Take a photo, or make a videotape or audiotape, that catches the disturbing behavior in progress. Then, show this to the student in a nonjudgmental way (apart from the other students). Or make a video of the child, cutting out the undesirable behaviors and showing only the kinds of behavior you wish to see. Then show this to the student (Walther & Beare, 1991; Woltersdorf, 1992). Trade places with the student, so that the student is seated in the teacher's chair, and you are in the child's seat. Then, imitate some of the student's problematic types of behavior (again, it's best to do this apart from the other students). Discuss with the student what it is like to see his own behavior from the teacher's vantage point. Children whose problems are particularly biological in nature (e.g., where there has been specific brain damage due to illness or accident). Children in acute behavioral crisis, where chronic unremitting symptoms require immediate interventions (McGuinness, 1985, p. 229; Turecki, 1989, p. 231). Children for whom nonmedical interventions have been tried and failed to be effective (American Academy of Pediatrics, 1987). At the same time, I'd like to suggest that there are other biological interventions teachers can use in the schools (or suggest to parents). These interventions are not drug related, yet do have a positive biological impact. The most prominent set of such strategies involves the use of food (discussed on pp. 95–96). Seen in the proper context, food actually represents a wide range of “drugs” that we safely ingest every day. Understanding how different foods affect the brain can give us a better understanding of how we can help improve a child's behavioral chemistry. It is possible to view most of the other interventions in this book as having a potentially positive effect on a student's psychobiological integrity. With accumulating evidence from brain science regarding the effect of the environment on the growing brain (e.g., Diamond & Hopson, 1998), it's becoming more clear that everything a teacher uses in the classroom—whether it be computers, music, hands-on instruction, cooperative learning, visual thinking, role play, or any of the other ideas suggested in this book and elsewhere—has its own effect on a child's brain, creating new neuronal connections and enriching the child's neurochemistry in other ways, as well (e.g., Jensen, 1998; Sylwester, 1995). Copyright © 1999 by Thomas Armstrong. All rights reserved. No part of this publication—including the drawings, graphs, illustrations, or chapters, except for brief quotations in critical reviews or articles—may be reproduced or transmitted in any form or by any means, electronic or mechanical, including photocopy, recording, or any information storage and retrieval system, without permission from ASCD.